A medical center that affirms women’s dignity and embraces life. St. Vincent’s Hospital went from lifesaver to bankrupt to closed to gaping hole in the ground to construction site for luxury condominiums in what might have seemed the twinkling of an eye in the life of Lower Manhattan. Its end created a void. It had been a place of births, last breaths, long and grueling nights, close calls, and needed stops after more than minor mistakes and accidents. It is precisely because of that mission that Ronald Rak found himself walking the emptied halls of St. Vincent’s four years ago. What does a closed hospital look like? He wanted to see for himself. He was there because he was in a position to help pick up some of the pieces and fill gaps created or exacerbated by the demise of St. Vincent’s. Rak is the CEO and president of Saint Peter’s Healthcare System across the river in New Jersey. He describes his visit that day as walking into “the middle of the end of a terrible science-fiction novel, one in which everybody in one instant was there, and all of a sudden they disappeared. But you could tell what they were doing at that last moment because of the surroundings.” At the newly closed St. Vincent’s, he “saw computers lying on the floor, piled up, to be thrown out the next day.” He and his chief medical director walked into empty operating rooms and emergency rooms. The Gianna Center — named for Saint Gianna Molla, a physician, mother, and wife who refused an abortion during a difficult pregnancy — cares for women in a way that is foreign to much of health care today. The scandal of women’s health care is that all too often problems aren’t solved, complications aren’t investigated; instead, band-aids and poison pills are the protocol. But Gianna, not unlike the FEMM health-care center that has opened in Columbus, Ohio, across the street from Ohio State — a Big Ten school, no small start! — is something different. That day, Rak went immediately to the Gianna Center, and Saint Peter’s would soon bring Gianna in under its wing. Rak saw it not only as “critical to the care of women in New York City,” he remembers, but also as possibly “the genesis” of something more. “Out of the darkness of the closure of the hospital, maybe something will come.” Some administrators at Saint Peter’s were initially concerned that the Gianna Center concept might put off some community physicians (who are affiliated with but not employed by the hospital) who perform in vitro fertilization, knowing that it tends to be “a very profitable practice” for them. But St. Peter’s is Catholic and money is not their mission. “We said, This is our faith and this is what we shall do, and we will do it,” Rak says. That was the beginning of the National Gianna Center for Women’s Health. As the original Gianna grows in Manhattan, there are now also over a dozen centers developing throughout the country. The National Center has a business model and even legislative outreach, so that alternative health care, rooted in Catholic social teaching but (as the gospel teaches) not exclusive to Catholics, can be widely accessible. Simply seeing an ultrasound could be unbearably cruel without a doctor’s willing to make that promise. During his time as archbishop of New York, Cardinal John O’Connor announced that he was inviting any pregnant woman in need to come to the Catholic Church and it would help. He established a group of women religious, the Sisters of Life, to do just that. Cardinal Timothy Dolan has renewed that invitation and that pledge, and with the work of the Gianna Center is better able to see that promise fulfilled and to give new life to a ministry that might otherwise have been abandoned: medical care for women that affirms their dignity and embraces life. Rak points to the possibility of transforming women’s health care in America. This from a Church, he points out, that is so often caricatured as somehow being anti-woman when, in truth, contemporary popes have talked about humanity’s need for women to save us from technology that might enslave and destroy us if there were not a motherly hand to hold us back. I don’t expect to see it on the cover of a leading women’s glossy anytime soon, but this place called Gianna — which could have followed its parent hospital into the rubble — may just be leading a whole new feminist movement, one with doctors like Anne Nolte, in a revived tradition of the sisterhood that built St. Vincent’s in the first place. 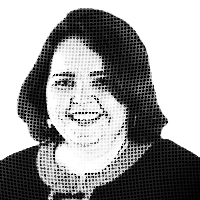 — Kathryn Jean Lopez is senior fellow at the National Review Institute, editor-at-large of National Review Online, and founding director of Catholic Voices USA. She serves on Cardinal Dolan’s Pro-Life Commission with Dr. Nolte. Author’s note: An earlier version of this piece incorrectly stated that St. Peter’s itself does IVF procedures. The hospital makes clear such procedures do not happen on St. Peter’s grounds.